The EUobserver is a non-profit independent online newspaper established in Brussels. It regularly covers EU funds attribution, fraud and misuses. In 2013, the EUobserver investigated EU funds attribution to regions. The result was that the poorer and more mismanaged a region was, the less it was profiting from EU funds, therefore raising the point that there is a relationship between administrative capacity and good and effective use of funds. EU Transparency is a non-profit organisation based in the UK and working to improve transparency of the European Institutions. EU transparency was behind the project FishSubsidy (see next section) and host of the Farmsubsidy.org project for some years. The European Research Centre for Anti-Corruption and State-Building (ERCAS) is an academic research center located at the Hertie School of Governance in Berlin, Germany. ERCAS has notably established the anti-corruption project database, where anti-corruption initiatives are documented and promoted through a database of projects, impact analysis and diagnosis reports. ERCAS also investigates itself EU funds abuse and conducted a project in Bulgaria. The online version of the Financial Times has a dedicated section on investigations and articles on the EU Structural Funds where it reports about EU funds management issues, frauds and funds misuse. The last article raised the issue of UK local councils, London excepted, not being allowed to independently manage their share of the ESIF funds. The Financial Times has also worked with the Bureau of Investigative Journalism to make EU Structural Funds more public. (see The Bureau of Investigative Journalism and data project description in next section). The JournalismFund.eu was founded in 2008 on the model of the Belgian Pascal Decroos Fund and is the only European fund providing working grants for journalism investigation across the EU. The fund also supports the Dataharvest - European Investigative Journalism Conference which has become the main annual conference for journalists to share best practices and story ideas related to EU data. The Bureau of Investigative Journalism (TBIJ) is a non-for-profit news organisation based in London. It has worked with the Financial Times on the EuFunds project to investigate EU Structural Funds. One of the main findings from that investigation is that only 5% (54) of 1046 leaks relating to corruption in 2011 came from Member States authorities, raising concerns over the shared management of EU funds. As part of the global Transparency International, the Transparency International EU Office (TI-EU) focuses on EU advocacy. It promotes accountability, transparency and integrity at the EU level. TI-EU recognised that the shared management system of a large number of EU funds makes it very difficult to access data, and is therefore calling for all EU funds to be available on a single, citizen-friendly website. Investigations can also be conducted or initiated at the EU level by dedicated authorities. OLAFis charged by the EU of the protection of the financial interests of the EU budget. It investigates fraud, corruption and serious misconduct within the European institutions, and develops an anti-fraud policy for the European Commission. OLAF’s mandate covers all EU expenditures and it cooperates with national authorities for funds under shared management. OLAF publishes an annual report containing statistics on fraud and examples of cases investigated. According to the 2013 report, the main amounts of fraud were in structural funds (€111.7 million), external aid (€100.4 million), customs and trade (€84.9 million), new financial instruments (€66.3 million) and agricultural funds (€34.4 million). The Ombudsman is an independent watchdog with the power to investigate EU institutions. It regularly conducts investigation into EU funds. For instance, on 21 May 2014, the European Ombudsman has launched an investigationon the EU Cohesion Policy, following concerns that substantial funding is being used to breach the fundamental rights of EU citizens with disabilities. The European Court of Auditors is the independent external auditor of the EU institutions. Its role is to check that EU funds are correctly and efficiently managed and raised and spent in accordance with the relevant rules and regulations. In particular, the court checks if projects funded through direct and shared management are in line with EU priorities. ARACHNE is a project from the European Commission which aims at providing Member State authorities involved in the management of the structural funds with an operational tool to identify potentially risky projects. The application collects and process data from Members States EU-funded projects, together with financial data on companies (data retrieved from ORBIS), compliance data such as list of fraudsters (data from World Compliance, Lexis Nexis) and web mining data from news articles (data retrieved from Moreover). The project managed by DG EMPL is already in operation Bulgaria, Czech Republic, Hungary, Poland, Portugal, Romania and Slovakia. The tool’s dashboard is available to Member States authorities and the Commission. However, there are as yet no plans to make the data publicly available. Ask the EU is a portal managed by Access Info Europe which assists any citizen requesting an information from the EU institutions under the access to information right. The portal makes every request and response publicly available online, allowing for an analysis of information request on EU budget and spending. For example there are 150 requests related to “spending” data and 393 requests related to “budget” data. FarmSubsidy seeks to obtain detailed data relating to payments and recipients of farm subsidies in every EU member state and make this data available in a way that is useful to European citizens. This is a project of JournalismFund.eu, a non-profit organisation. The website is powered by OpenSpending of Open Knowledge and has previously been run by EU Transparency and DICAR (Danish International Center for Analytical Reporting). The website lists over 120 stories which came out from the FarmSubsidy database. EuFunds is an initiative from the Financial Times and The Bureau of Investigative Journalists (TBIJ) to collect data on beneficiaries from EU Structural Funds. The application, still online, provides a search engine to query EU structural funds data. The data were extracted between April 2010 and September 2010 and represent a snapshot of projects that have been allocated EU funds from the start of the current funding phase in 2007 onwards. The underlying database is also available as a MySQL and CSV file.  OpenTED is an initiative which aims to make information from the joint European procurement system more easily accessible to journalists and researchers. The initiative was developed in the frame of the Dataharvest.eu conference in collaboration between independent journalists, developers and researchers. The dataset contains procurement data from 2013 to 2015, including contracts from EU funds. OpenInterests.eu is a catalogue of political and commercial actors related to the European Union. The project combines different sets of information including data from the FTS into a search engine, which can be used to quickly retrieve information about the activities of companies, people and institutions in a European context. Wobbing.eu is a network of journalists interested in using the EU’s freedom of information legislation at national and European levels to obtain documents. The network members exchange information on developments on national and European level and assist each other with requests when necessary. Annual meetings in the Wobbing.eu network have been merged into the annual Dataharvest.eu conference. Prev: How Transparent is the EU Budget?